The appeals board at the US Patent and Trademark Office (USPTO) released a ruling on January 24 that invalidates the third Barth patent held by Rambus, pertaining to memory chips used in computers which the firm successfully used to intimidate Nvidia into settling with them last year. Of the three patents that made up the collective Barth patents, two were invalidated last September. The third, and perhaps most crucial patent, 6,591,353: "Protocol for Communication with Dynamic Memory, has now been invalidated on the basis of prior art. Nvidia exploited the several references made in the patent to "memory device." "As NVIDIA persuasively explains, Hayes describes time-multiplexed clock data transfers between a master and slave during different clock cycles, and Bennett teaches benefits to providing a synchronized interface in a memory device using an external clock," according to the patent examiner, cited by Hot Hardware. In more understandable terms, the Bennett patent (Nvidia declared it constituted prior art) contained documentation that made the Hayes patent obvious. Obviousness is a key component of patent law, with the USPTO evaluating it by using the Teaching-Suggestion-Motivation (TSM) test, among others. This is the latest blow to Rambus, after the $4 billion lawsuit against Hynix and Micron was thrown out of court last November, causing the firm's stock to drop substantially and wiping out nearly two-thirds of its value. They previously had success in July 2010 after the International Trade Commission ruled that Nvidia, Hewlett Packard and several smaller companies had infringed the three Barth patents. Rambus repeated its strategy using six patents early last year, this time targeting STMicroelectronics, MediaTek, Broadcom and other companies. Broadcom has since settled with Rambus. The invalidation of these key patents is likely to affect the agreements made with many companies, including Nvidia and Broadcom. 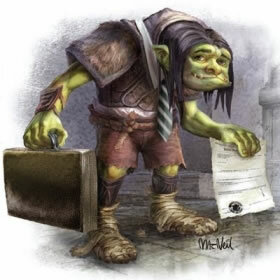 That said, few will be mourning Rambus’ potential demise after this ruling, having earned a reputation of being the patent troll in the technology industry over the last decade by making a living off of lawsuits for various patents it held. It is not clear if Rambus appealed the previous rulings regarding the first two Barth patents, or whether the firm plans to appeal the latest decision with the US Court of Appeals in Washington.